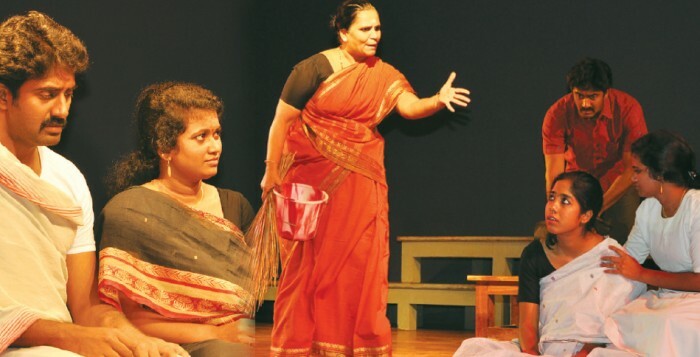 After serving up intense plays in English and other regional languages for 15 years, Theatre Nisha turns the spotlight on eminent Tamil writer, Andal Priyadarshini. Solladi Sivashakti sees eight short stories designed around women, exploring their smallest desires and aspirations and the greatest complexities. According to the director, Balakrishnan Venkataraman, the plays a�� Karpanapaduvadhu, Vaanavil vaazhkai, Dosham, Thali kodiyum Thoppul Kodiyum, Kalyaanathavam, Rishiyum Manushiyum, Kavidhayai Thinru Pasiyaari and Kadaisi Kadidham a��a��have been designed to move the audience.